A few of my friends and I were at a teriyaki place for lunch; we were sitting right next to the window where the sun was streaming in, highlighting photos of some of the items on the menu. 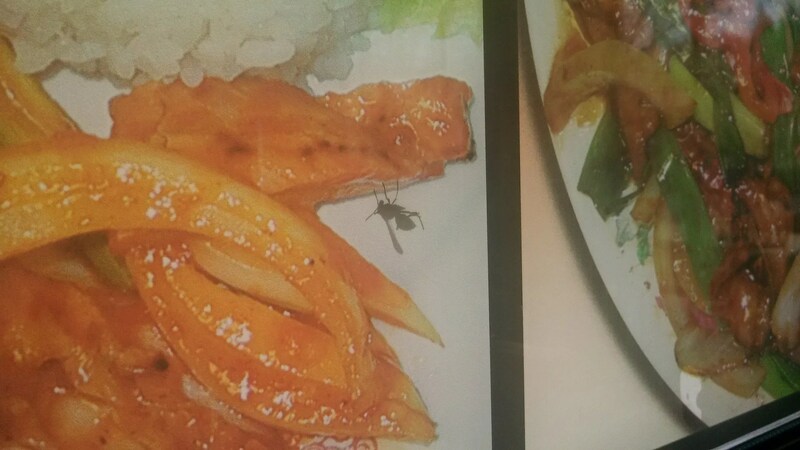 A yellowjacket flew onto the window and said to himself, “Ho da ‘onolicious!” Too funny dat. Yes-I was right. You are a nut!